Nine year old Peony aspires to become a Bee, a member of the team of children who hand pollinate the orchards at the Goulburn Valley plantation. Peony and sister Magnolia live with their ageing grandfather while their mother migrated to the city, supporting the family to purchase medicine and trade for the ferocious winter season. The Goulburn Valley community is responsible for producing fresh produce for wealthy, urban residents. Peony is a perceptive and ambitious young lady, agile and slight, the perfect candidate to be awarded with the prestigious delegation of Bee. Peony and Magnolia share a wonderful relationship, their grandfather a tender and gentle man guiding two wonderful young ladies in the absence of their mother. The Goulburn Valley community is considerate, compassionate and although physically exhausting, the orchard is an invaluable resource. Peony and Magnolia's mother is a woman who is effortlessly manipulated. Rosie relinquished her responsibilities and migrated to the urban district to provide for her family. Returning to Goulburn Valley, Rosie insists Peony accompany her, expected to serve a wealthy urban family. Peony is inconsolable. Rosie has embarked on a new relationship with a degenerate and violent man, examining domestic violence, child endangerment and parental neglect. The friendship between Peony and Esmeralda is endearing. Esmeralda is the daughter of Peony's new employer who experiences social agoraphobia. Through compassion, Peony and Esmeralda reach an understanding. Peony will encourage Esmeralda to alleviate her anxiety and sequentially, Peony will return to Goulburn Valley. 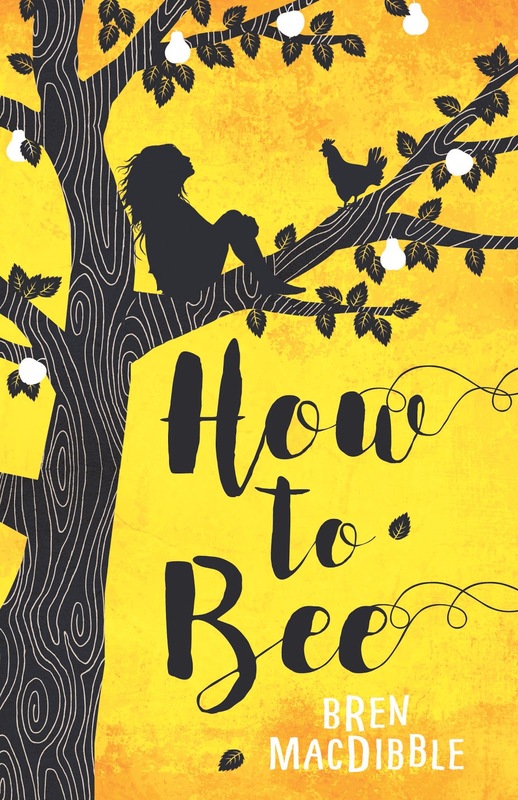 The honey bee is obsolete, famine resulted in the decimation of organic pollination and How To Bee introduces middle grade readers to the environmental impact human development, pesticides, disease and climate change have affected populations. Displaced families throughout the urban district are living below the poverty line, at Goulburn Valley, families reside in meagre dwellings and although the sense of community is wonderfully portrayed, the socioeconomic divide is prevalent. Displaced and forcibly removed from the Goulburn Valley environment, the narrative may also be perceived as a gentle reminder of Australia's colonisation. How To Bee is enchanting and atmospheric, achingly beautiful. Captivating until the final page. It's beautiful Casey, so delicate and lovely. It's wonderful Haniya, among my favourite middle grade reads I've had the pleasure of reading. This sounds like a nice novel. Glad you enjoyed it. I like that adult readers can find layers to it such as Australia's colonisation and middle graders can enjoy it for the story. Which is great when it comes to middle grade. Engaging children and parents can begin conversations about important issues raised in book and with How To Bee, it could be about violence, how Peony was removed from her home or poverty. Incredibly lovely and lyrical too. Me too Sarah. Such a delightful read, thoroughly enjoyed it. This sounds wonderful. I'm going to recommend it to my niece as well. I dare say you'll probably want to read it too Karen, it's beautiful. Woooooow. What a gorgeous cover! I could just gobble it up, looks like cake. The idea also sounds amazing. Freaky to imagine a world without bees though :/ but I suppose that is the idea! This sounds absolutely brilliant! and like a book that needs to make it's way into/onto the education syllabus. Wow, i think i need to get my hands on a copy for myself and for my mum <3 :-) Wonderful review. There are many heavy themes in here for a book in this age group, which the author seems to have balanced well, I guess. Beautiful cover, and I imagine with prose to match.